What can the rise and reign of this century's most feared politician teach us about life, work and love? Rob Sears shows how the machinations that enabled Putin to dominate the Kremlin and undermine the United States of America could also help you take control of your mundane life. How would you like to ruin your enemies by sharing compromising material about that time they didn't wash their hands? Or annex territory by claiming the stationery cupboard at work as your personal empire? Fancy hacking democracy at the parent-teacher association to ensure you're a shoo-in for social secretary? Or serving up a cold dish called revenge in a high street restaurant? 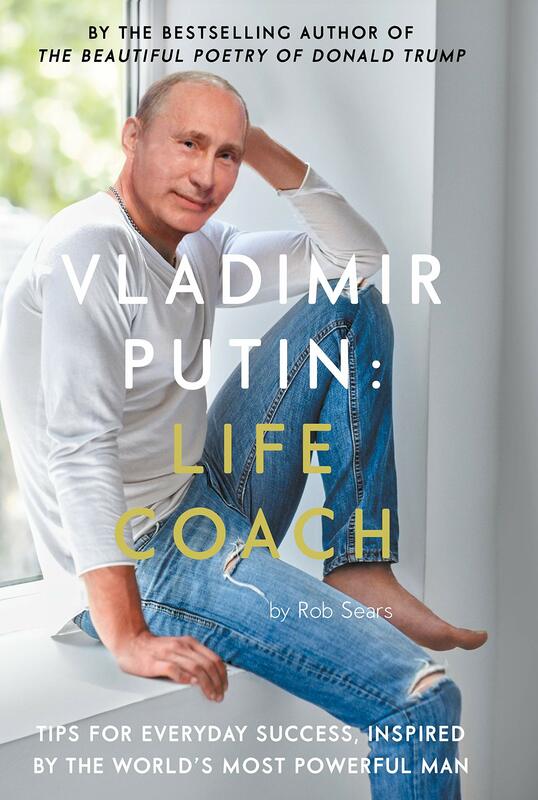 Filled with stories from Putin's extraordinary time in power, and ideas and illustrations to help you emulate him on a small scale, Vladimir Putin: Life Coach is the ultimate guide to releasing the pseudo-elected, judo black belt, 5D chess-playing autocrat inside each and every one of us. Rob Sears has written comedy and fiction for McSweeney's and is the author of the hit humour title The Beautiful Poetry of Donald Trump. He lives in Finsbury Park with his wife Grace.